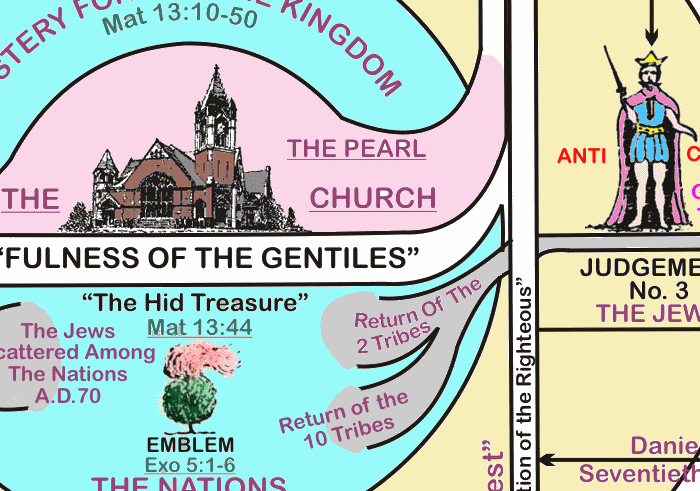 Clarence Larkin’s “Rightly Dividing The Word Of Truth” chart redrawn in color and high resolution. This is one of Larkin’s most detailed and popular charts originally found in his book “Dispensational Truth.” It was redrawn in Corel Draw by Tim Morton. Upon purchase a PNG file will be available for download.